Iskandar Residences: Best Medini Condo 2013, with 129 years leasehold! 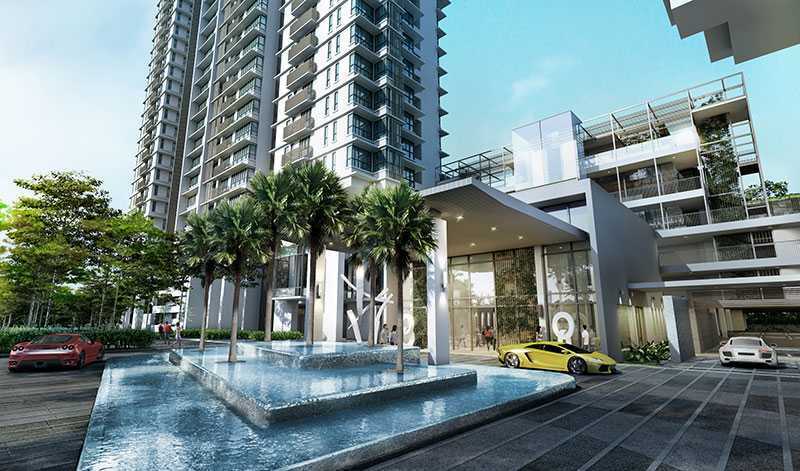 The Paragon of Resort Living in the heart of Medini, Nusajaya. . Developer Name Distinctive Resources Sdn. Bhd. Two levels of retail shops in this development, but NOT for sale! Iskandar Residences is one of the very first residential development projects located at Medini, Iskandar Malaysia. Iskandar Residences is soon become the most wanted Medini Condo with it super long leasehold at 129 years (i.e the Longest in Medini)! 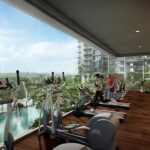 Iskandar Residences is just sited close to the Afiniti Wellness Project at the Medini North (A Joint-Ventured by Malaysia Khazanah and Singapore Temasek Holding). Iskandar Residences comprises of two towers (Tower A: 40-storey and Tower B: 29-storey respectively) with total units of 640. At Medini, foreigners can enjoy equality rights with NO foreigner quota, & NO minimum price purchase threshold of RM1 mil. No worry, in Medini, there is NO RPGT (Real Property Gain Tax) too when you sale your property! High resale demands from expat/ foreigners are expected! Iskandar Residences is offers incomparable proximity (only minutes walk) to world class attractions, such as the Asia’s first LegolandTheme Park (opened since Sept 2012) and Pinewood Studio. The Mall of Medini is just opposite to the Legoland, where you can spend your day with shopping and foods. You’re just merely 10mins drive away from Johor Premium Outlets, Puteri Harbour, Hello Kitty indoor theme park, 6 international standard golf courses and very top university (such as Newcastle University and Marlborough International School) and medical facilities. A water taxi or ferry service at the new CIQ Puteri Harbour can takes you to Singapore’s Raffles Marina and Vivocity. 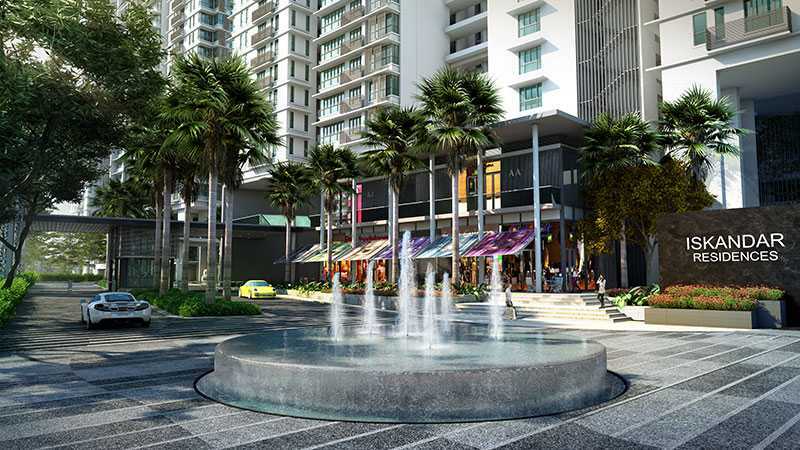 Iskandar Residences – A world of fun, relaxation, culture, shopping and entertainment is closer than you ever imagined! Coming home to Iskandar Residences is bound to lift your spirits time after time. This luxurious resort home boasts a grand entrance, a tree-lined boulevard and an exclusive retail experience. At Iskandar Residences, you will truly feel safe and secure because your home is protected by a sophisticated three-tier security system. 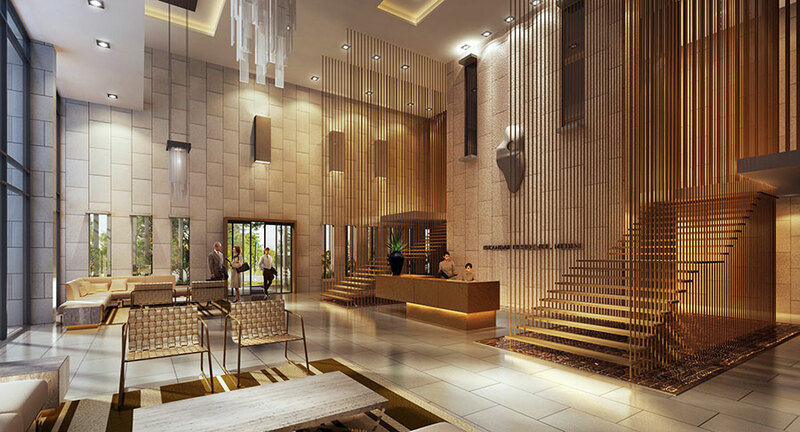 Every facet of the grand lobby is designed to attract and entice. It is an impressive statement to visitors about your choice for prestige, class and elegance. Be mesmerized by the grand lobby’s ultra high ceiling, sheer spaciousness and immaculate decor. Featuring an amazing selection of a 50m Olympic-length lap pool, a 35m heated lap pool, two heated 20m sky pools, a kids pool and an outdoor Jacuzzi. 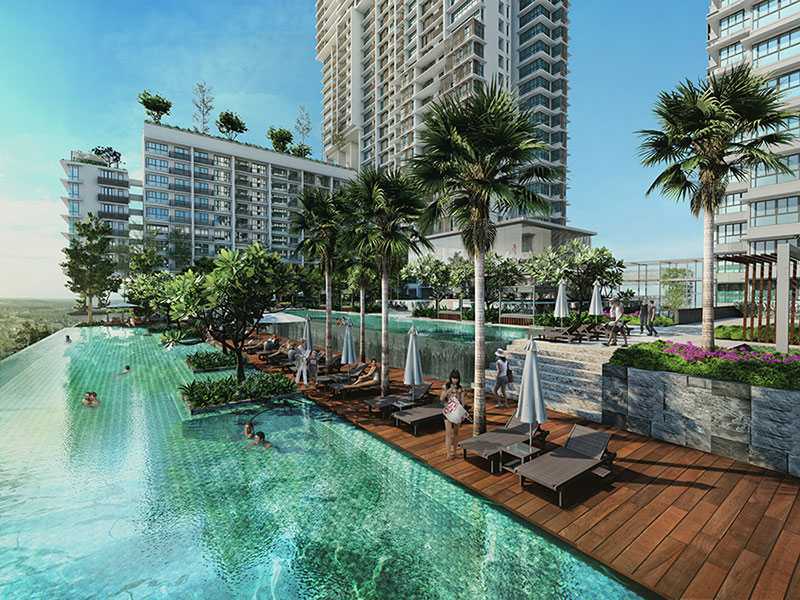 Iskandar residences let you enjoy resort-like facilities at your doorstep. The gym is a must-visit for residents. With full height glass wall, you can run on the treadmill or pump iron while feasting your eyes on the magnificent view of Medini, in Nusajaya. Its abundant natural greenery with beautifully designed landscaping serves to relax and pamper your every whim and fancy. Embrace tranquility at the sky garden in the morning. Work out in the gym after work, play badminton or squash with your loved ones or have a get-together with friends and family at the BBQ area during weekends. Treat your loved ones or your guests to warm sunshine, cool natural breezes and breathtaking panaromic views of Medini Iskandar and metropolitan Singapore from the sky lounges featuring heated sky pools located on level 29 (Block B) and level 40 (Block A). Its the ideal place to relax and unwind – the first of its kind not only in Medini, but also in Johor Bahru and Iskandar Malaysia. Why Medini (Nusajaya) Iskandar Malaysia? Heavily promoted by state & federal government. 3 world-class ports (Pasir Gudang Port, Port of Tanjung Pelepas, Tanjung Langsat Port). 2 international airports (Senai International Airport, Singapore Changi Airport). 2 causeways (Causeway Link, Second Link). Great Potential for Rapid Transport System (RTS) link to Singapore. 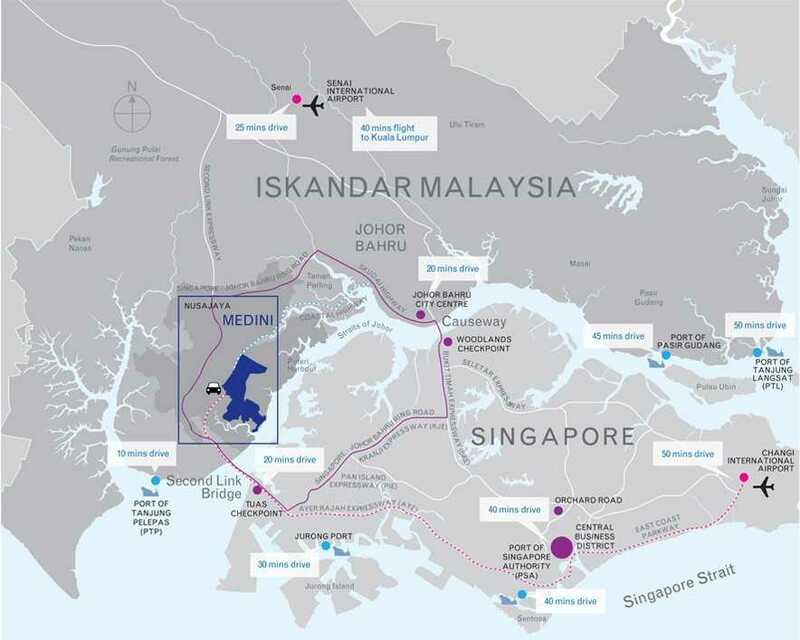 Super Long Leasehold at the Medini (Iskandar Financial District), i.e 129 years leasehold è 30% longer than typical 99-year leasehold projects in the Medini. Uncompromising 3-tiers Security: 24-Hr security system with CCTV cameras, smart card access control and 24-Hr maintenance office. World Class Attractions: Legoland, Hello Kitty, Marina Club, Puteri Harbour, Pinewood Studion. Excellent Investment: Potential high rental yield! Strong rental demand from Legoland/Mall of Medinin work forces, upcoming Afiniti Wellness Center, Gleneagles Medini Hospital, Pinewood Studio, New Castle Universities, commercial offices & shops, hotels, banking, SILC & Ascendas Tech Park etc. Very affordable/ Low Quantum Investment and yet huge potential for capital appreciation! (potential >200% return). Only S$1x K cash-upfront to own the units! Grab it as you can! 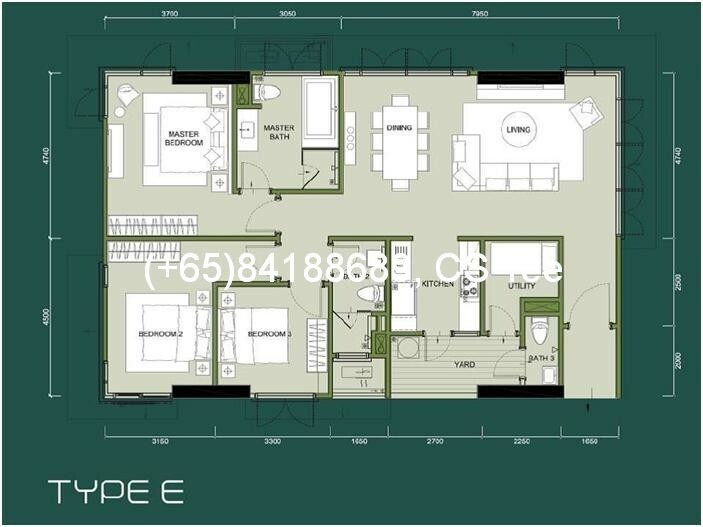 High 3.1-metre ceiling, additional fixture and fittings such as air-cond, wardrobes, water heater etc are provided. Medini is located at the Nusajaya, Iskandar Malaysia. Under the Iskandar Development’s plan, Medini will be developed as the Iskandar Financial District. Medini is divided into 6 Zoning, Iskandar Residences is located at the Medini North Zone A.
Iskandar Residences is strategically located at the heart of Medini North, and just minutes walking distance to Legoland, Mall of Medini, Afiniti Wellness Center, Pinewood Studio etc. Accessibility to both CIQ – 10mins drive either side. 23 minutes to Senai International Airport & 47 minutes to Changi Airport, Singapore. Iskandar Residences is pampered with landscape area of about 2 acres, i.e about 30% of site area is designated as common area for residences to ENJOY!! Next to Legoland Malaysia, Afiniti Wellness Center and future Pinewood Studio. Proximity to EduCity, Lifestyle Mall, Kota Iskandar, Puteri Habour (approx 5 minutes drive time), Horizon Hills Golf Course and many more. Just minutes drive to Jusco/Aeon, Tesco, Carrefour and Giant Hypermarkets. Other Nearby Shopping Mall: Sutera Mall, Bestmart, Plaza Tasek, Perling Mall, Johor Premium Outlets (JPO). Landscape garden and lawn, water features. Library/ Reading room, Nursery, 2x Games Room, Multi-purpose Hall. Type A/B/C/G 2% + 5% rebate, i.e 2% Additional Rebate will be given only if purchaser signs SPA within 14 days. This 2% will be offset as partial payment on 1st 10% progressive payment (purchaser pays 8% upon SPA signed). 5% Rebate will be offset as partial payment on 2nd progressive payment. Type D/E/F 3% + 7% + 3% rebate, i.e 3% Additional Rebate will be given only if purchaser signs SPA within 14 days. This 3% will be offset as partial payment on 1st 10% progressive payment (purchaser pays 7% upon SPA signed). 7% Rebate will be offset in the form of credit note as partial payment on 2nd progressive payment. 3% Rebate will be given upon vacant possession.